A Valentine date gone wrong is the start of a romance for the ages. Ian has seen a lot in his time, but the lovely doctor he’s been assigned to follow calls to him like no other woman. 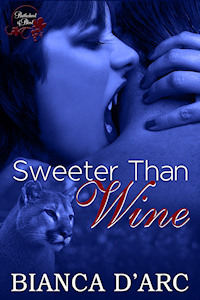 Jena has had a hard introduction to the world of vampires, and she knows Ian is watching to make sure she keeps their secret. Night after night, she feels his presence until finally, on Valentine’s night, she invites him in for a drink after her date for the evening goes wrong. But once she invites the vampire in, she might just be tempted to keep him…forever.